Cory N has a 5-Star rating and leads the company in total reviews, making this pro a ReviewBuzz Rockstar! 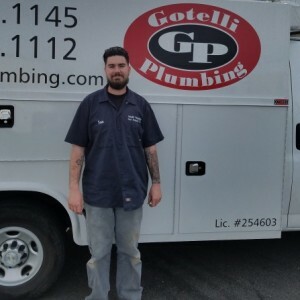 Gotelli Plumbing was quick to set the meeting and Cory was professional and qualified - - repair was completed in short order. Highly recommend. Gotelli is my go-to plumbing company. Great service, on-time, knowledgeable, happy to answer my questions, friendly plumbers. Cory is the best! Efficient, tidy, communicative and very nice. Will call Gotelli again for sure! Called Gotelli on short notice and got them out to my house in an hour. Cory snaked both a kitchen drain as well as an tub and completed the job in an hour. Great experience and service. On time, quick fix, clean and friendly. I'm a repeat customer. Thank you, Cory! 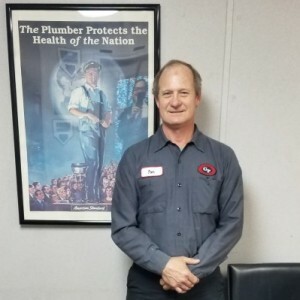 Reliable on-time service with excellent knowledagable plumbers. A good bet for plumbing help. Cory knew exactly what was wrong, in that the tank port was blocked with calcium deposits at the exit in the bowl. He was able to clear it in about 15 minutes by scraping the deposits away. This is a 50 year old wall mount toilet, but works like new.